The Crane Building, as of September 2011, is in the process of being demolished. Fortunately, I was also able to re-photograph of the building before demolition started. I like the windows in this building; large on the left, small but numerous on the right side. Nice scale. My heart broke when I saw this building going down. Right before it was demolished, I walked by quite a few times after bringing my car to the repair shop down the street. I would peek in the windows. It was an amazing space. It always made me think.. the problem of reusing these buildings is very complicated. Not only does someone need the money to fix them up but the business owner needs the business to keep operating. 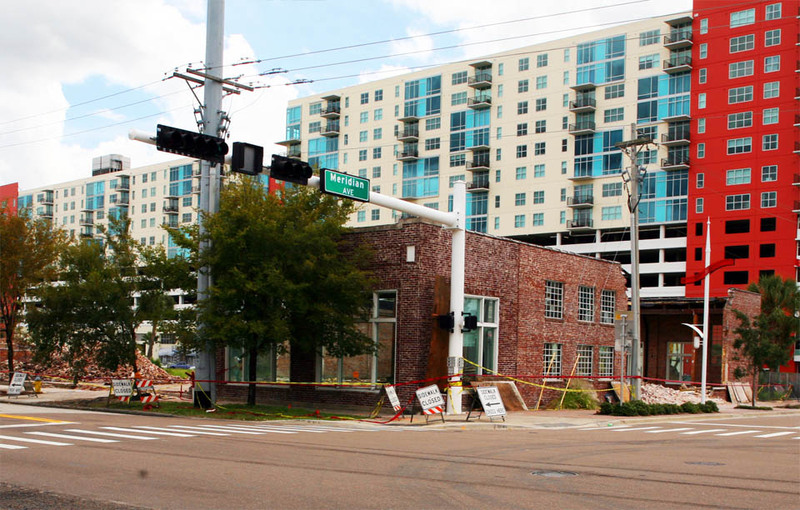 It was a small building in a neighborhood that needs larger buildings in order to bring a large volume of people into downtown. The land will better serve the community with development. I spoke to the developer who owned this land. He said the bricks were salvaged to be used in another project. It was beautiful brick.. I worked in this building from 2003 to 2007 and it was definitely a beautiful structure. My company (Bayside Engineering) was leasing it and the owner was wanting to sell due to all of the condo buildings cropping up in the Channelside area. 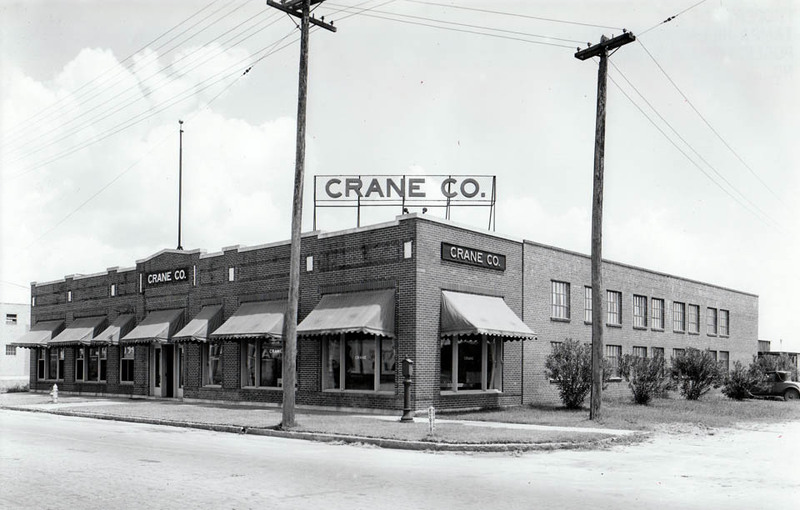 The original building had a showroom in the front (large windows) and factory/warehouse in the back (smaller windows). It had been refurbished into a wonderful office building retaining the 25 foot ceilings and factory skylights. The wood ceiling were 12″x12″ beams and were probably worth a small fortune! It is very sad to now see it demolished, there are plans for a new Publix to be built on this site.